Photonics is the physical science of light generation, detection, and manipulation with vast applications in all areas of everyday life. Also the field of optics and photonics offers new approaches to enrich our liyes. This special issue of Asian J Physics will focus on the latest trends in optics and photonics research. The primary aim of this issue is to provide a platform for experts and researchers from all over the world to disseminate and highlight their novel contributions in the field of optics and photonics. Both innovative techniques and literature survey are warmly welcome for submission. More specifically, research in areas such as light detection, information processing, photonic computing, telecommunications, holography, nonlinear and quantum optics are also welcome. Photodetectors, sensors, systems, and imaging. University Technology MARA, (UiTm), Shah Alam, Selangor, Malaysia. Recent developments in Image Processing and Machine Learning (IPML) have conveyed many advanced technologies that have been benefiting our daily lives. For instance, IPML have been successfully applied to communication systems, medical diagnosis, speech recognition, remote sensing and brain-machine interfaces. With the advent of big data era, image processing as well as machine learning approaches become essential tools to effectively and efficiently analyze such large volume of complex data. Although significant progress has been achieved in both fundamental and application aspects, there are still many challenges, open questions and future research directions with very attractive perceptions. The primary objective of this special issue is to advance development in IPML, and to address the related State-of-the-Art techniques in the form of mathematical, architectural and experimental aspects. This special issue serves as a forum for researchers, industry professionals and academics to present their recent works in image processing and machine learning. Both innovative techniques and literature survey are warmly welcome for submission. It is strict rule that all submitted manuscripts must not have been published in elsewhere and are not currently in review by other journals or conferences. All submissions are subject to the AJP reviewing procedures. Perspective authors, who submit manuscripts to this special issue, are encouraged to volunteer as reviewers for the peer-review process. Sidike Paheding received his B.S. degree in electronic information engineering from Northwest University for Nationalities, M.S. and Ph.D. degrees in electrical and computer engineering from University of South Alabama and University of Dayton, respectively. He recently joined the Center for Sustainability as a postdoctoral research associate at Saint Louis University, Saint Louis, USA. 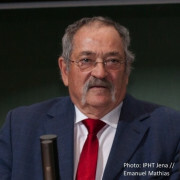 He has authored or coauthored more than 50 publications, including refereed journals and conference proceedings in the field of image processing, pattern recognition, machine learning, computer vision and remote sensing. Dr. Paheding also serves as a reviewer for a number of reputed journals and international conferences. He is a member of IEEE, SPIE and Tau Beta Pi. This special issue will focus on the latest advances in interferometric and non-interferometric 3D imaging techniques and applications in the fields of 3D optical imaging and metrology as applied to various industries, with particular emphasis on practical applications in biomedicine, biophotonics, and scientific and optical inspection. Scientific and technology innovations are the main motivations for submissions to this issue. We encourage authors to give full and in-depth descriptions of the concept, theory, mathematical model, experimental system, and experimental results. Some emphasis shall be placed on the implementation of new methods, algorithms and sensor components into complete measurement systems. Moreover, new approaches related to resolution enhancement and evaluation of optical measurement systems, as well as their implementation and application are in the focus of this issue. Looking forward to an outstanding special issue. Therefore, for this special issue, contributions are invited to summarize the developments made in this field over the last few years and also what could be expected in the coming years in both theory and experiment. This includes both Penning and Paul trap measurements apart from electrostatic and storage rings. The issue would highlight the success of these measurements and shed light on the future of this rapidly expanding field. The Asian Journal of Physics (AJP) invites authors to submit original or review articles on recent advances in high precision spectroscopy in atomic and molecular physics and other disciplines in relation to probing the fundamental symmetries of nature. In the past several years, there has been significant progress in our understanding of the fundamental interactions using experimental techniques both at the low-energy and high-energy scales. The long search for finding the Higgs boson was successful a year ago, but other quests are on to explain the possible reasons for the matter-antimatter asymmetry in the universe, finite masses of neutrinos etc. These issues will have to be addressed by new theories. Some of the future measurements of the permanent electric dipole moment of any particle or atomic system due to parity and time reversal symmetry violations, and of parity non-conservation effects in atomic and molecular systems using table top experiments, could provide evidence of the existence of certain new physics beyond the standard model of particle interactions. Remarkable advances in the areas of trapping and cooling of single charged ions and ultracold atoms in optical lattices could play a pivotal role in such possible experimental achievements. From the recent progress in achieving very high precision atomic clocks, it is possible to investigate plausible temporal and spatial variations of certain fundamental constants, such as the fine structure constant and the mass ratio of the proton to the electron. These variations have been predicted by certain models beyond the standard model. Moreover, high precision atomic and molecular spectroscopy are essential tools for astrophysics in the search for exo-planets. The Special Issue of the Asian Journal of Physics, Vol 25, No 9, 2016 will focus on the recent progress in high precision spectroscopy of atomic and molecular systems and other areas addressing problems related to fundamental physics. All scientific contributions in these areas are welcome. All the submitted Manuscripts will be peer reviewed. We are glad to inform you that St. Peter’s Institute of Higher Education and Research, St. Peter’s University, Avadi, Chennai - 600 054, recognizes every year the outstanding research work / skill / talent acquired by Scientist and Technologist by an award called "Sir C.V. Raman Scientist Award”. The award will be given annually to one person only. The Award will be bestowed on a person who has made conspicuously important and outstanding contribution to human knowledge and progress, fundamental or applied, in particular field of the endeavour. Kindly find the attachments of announcement and application form of Sir C. V. Raman award for the year 2015. I personally request you to motivate the deserving young scientists to apply for this award. With the advent in nanoscience and nanotechnology a new class of material namely functional oxides is emerging. Functional oxide (FO) refers to the metal oxides in the nanodimensions regime exhibiting novel, interesting and superior functions owing to their high surface area to volume ratios and related properties. More specifically, FO has two structural characteristics: cations with mixed valencies and anions with deficiencies or vacancies. Both these characteristics can easily be tuned by controlling the dimension of the material. As the functions of the material are closely related to its structure and morphology, a precise control over the process parameters can be looked upon as a tool to fabricate designer materials for next generation smart device applications. Advances in the nanosciences have demonstrated that FO having wealth of interesting morphologies and exhibiting interesting and novel structure-property relationship can easily be synthesized. Some of the FO’s that have shown interesting and promising properties are ZnO, SnO2, CdO, CaO, Ga2O3, TiO2, CuO, MoO3, CeO2 and In2O3. FO’s have exhibited novel and improved properties, in almost every subject or areas like semiconductivity, magnetism, optics, ferroelectrocity, piezoelectricity, superconductivity, thermoelectricity and catalysis. Accordingly, they have found applications in various fields like solar cells, thermoelectrics, photocatalysis and gas sensing. For gas sensing applications the ability to synthesis FO with tailored made surface reactivity have resulted in sensors with enhanced sensor response characteristics. The sensors are required to fulfill the 4S selection criteria namely “Sensor response, Selectivity, Stability and Suitability”. For successful deployment, the sensor should exhibit high sensor response, high selectivity towards a particular gas, long term stability in the test environment and should be economically viable. Different FO’s like SnO2, ZnO, WO3, and In2O3 have demonstrated their potential in fulfilling the above mention selection criteria and accordingly, sensor for industrial, agriculture and biomedical applications have been realized. Example can be provided of ZnO nanowires wherein the operating temperature of maximum sensor response was systematically brought down to room temperature by a careful choice of sensitizers. The nanowires were synthesized using hydrothermal method which is also an economical viable process. For thermoelectric applications i.e., scavenging waste heat and converting it into electricity, FO are expected to play an important role. The conversion efficiency of a thermoelectric material is evaluated according to its figure of merit, defined as Z = S2σ/κ, where S is the Seebeck coefficient, σ is the electrical conductivity, and κ is the thermal conductivity. Herein FO material offers the advantages like high thermal stability, low cost, and weak toxicity. Some complex superlattices in nanostructures contain periodic compositional and structural features, typically on the nanometer scale, making them promising materials for thermoelectric applications. In particular, the nano dimension of the material helps in the significant reduction of the thermal conductivity owing to the scattering of a wide spectrum of phonons by dislocations, nanoscale amorphous/crystalline features and grain boundaries. This eventually is expected to contribute for increasing the ZT of the material. For photovoltaic applications, FO’s have found their utility as transparent conducting front electrodes in solar cells and as electron or hole transport layers. More recently, heterojunctions entirely based on FOs, so called all-oxide photovoltaic cells (TiO2/Cu2O, ZnO/Cu2O), are attracting considerable attention due to their promising potential for price reduction. Apart from this FO have demonstrated their utility for other energy applications like batteries, solid-oxide fuel cells and photo catalysis. The special issue aims at providing an introduction to the novel and emerging field of functional oxides. More specifically, it will provide an overview of different synthesis approaches, characterization, properties and applications of commonly used functional oxides like ZnO, SnO2, CdO, CaO, Ga2O3, TiO2, CuO, MoO3, CeO2 and In2O3. The physics and chemistry at nanoscale highlighting the nano size effects, interface properties, structure-property relation and integrated functionalities will also be addressed. The issue will also emphasis the applied aspects of physics, chemistry and engineering of FO’s for their possible usage in applications including sensors, thermoelectrics, solar cells, photocatalysis and micro/nano electronics. In particular, the issue will cover the recent advances in the next generation device application of these materials with main emphasis on the challenges that are required to be met in order to achieve or realize the complete commercial product. Last date of Submission of Manuscript: 30th January 2016. Please contact the Guest Editors via e mail at: niranjanpr@yahoo.com / sheetal@ee.iitb.ac.in, dr_sheetalpatil@yahoo.com by November 15, 2015 stating that you are interested in contributing to the AJP special issue and submitting the abstract of your paper. Manuscripts should be sent to niranjanpr@yahoo.com / sheetal@ee.iitb.ac.in, dr_sheetalpatil@yahoo.com in MS Word format following the Instructions for Authors, published at http://asianjournalofphysics.in/instructions. Submitted manuscripts should not have been published previously, nor be under consideration for publication elsewhere (except conference proceedings papers). All manuscripts are reviewed and refereed through a peer-review process. Asian Journal of Physics (AJP), a Publication not for Profit, is serving the academic community and there is no article processing charge. We invite papers in the broad area of micro and nano-optics and photonics. The controlled interaction of light with small structures offers the introduction of a wide variety of fascinating optical characteristics that are not possible with conventional or macroscopic-sized optical components. Therefore, due to their potential for tailored manipulation of light; micro- and nano-optics are meanwhile very frequently the essential enabler for new optical instruments. The field can be broken into a wide range of areas, including design and simulation of the optics, fabrication and associated challenges, the Physics that comes with smaller dimensions and of course, the myriad applications. Papers are invited from the following broad areas, but not limited to: plasmonics, diffractive, refractive and hybrid micro-optics, nanostructures (e.g. nanowires, antennas, photonics crystals, bio-inspired structures, etc. ), adaptive and switchable diffractive optics and nanomaterials, applications for beam shaping, imaging and spectroscopy, nano-biophotonics, bio-inspired optical systems, and fabrication techniques for micro and nanooptics. With this issue ( Vol 25, No 7, July 2016), we would like to highlight that while the optics we use varies in size from the small to the miniscule; their impact and the possibilities they offer are infinite. 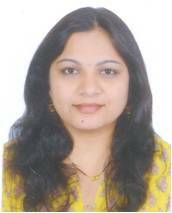 Shanti Bhattacharya obtained her Ph D in Physics from the Indian Institute of Technology, Madras in 1997. Her Ph.D work was in the area of Optical Array Illuminators. She was awarded the Alexander von Humboldt award in 1998 and worked at the Technical University of Darmstadt, Germany. Her research work there included development of an optical pick-up for CD/DVD systems and design of diffractive optical elements for beam shaping of high power laser beams. 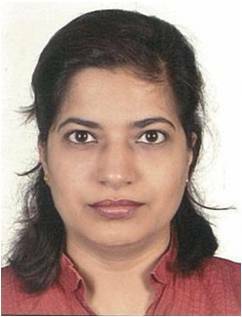 She subsequently joined the MEMS division of Analog Devices, Cambridge, USA, where she worked on the design of an optical MEMS switch. She is presently an Associate Professor in the Department of Electrical Engineering, IIT Madras and has been there since 2005. 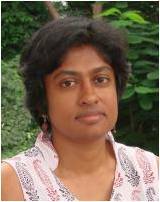 Her current research interests are optical MEMS, diffractive optics and fibre interferometry. 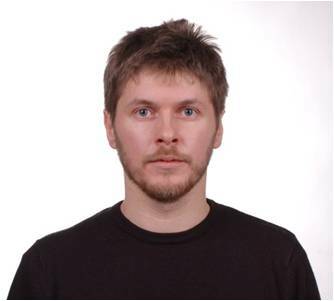 Saulius Juodkazis received his doctorate in experimental physics and material science in 1997 jointly from Vilnius University, Lithuania and Lyon-I University, France. His current research is focused on light-matter interaction in small space and time domains. Light-field enhancement and its spectral control using 3D nano-particles and nanotextured surfaces are investigated for applications in sensing, solar energy conversion, and solar hydrogen generation mechanisms. Another active direction of research in this team is creation of nanomaterials by tightly focussed ultra-short sub-1 ps laser pulses via unique high-pressure and temperature conditions for novel photonic applications. S. Juodkazis has established a nano-fabrication facility at Swinburne Univ., Melbourne, Australia, and is now developing next generation of nanofabrication techniques for 3D structuring of materials. S. Juodkazis is a Fellow of the Optical Society of America (OSA) and the International Society for Optics and Photonics (SPIE). Robert Brunner received his PhD degree in the field of near-fieldoptical microscopy from the University of Ulm/Germany. Followinga postdoc visit at the University of Illinois, Urbana-Champaign, he worked for 12 years in the Research & Technology Center of the Carl-Zeiss company in Jena, Germany. Between 2001 and 2009 he was Lab Manager for the Microstructured Optics Group. 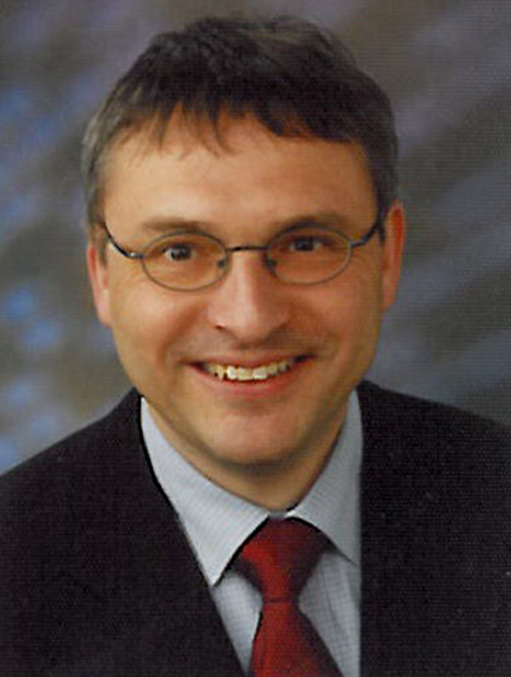 Since 2010 he is Professor for Applied Optics at the University of Applied Sciences in Jena. His current research interests are hybrid diffractive/refractive optics, subwavelength structures, refractive micro-optics, interference lithography and bio-inspired optics. Conducting polymer have come a long way since its discovery in 1977 by Alan Heeger, Alan MacDiarmid, and Hideki Shirakawa, who demonstrated that alternating single and double bonds in these materials give rise to delocalized electronic states and therefore, conductivity. Numerous applications were the result of unique combination of the electronic, electrical and mechanical properties of these kind of materials. In 2000, the Nobel Prize in chemistry was awarded to its inventors for the “discovery and development of conductive polymers”. Most commonly found applications of these materials have been in solar cells, field effect transistors, light emitting diode,sensors etc. We have already witnessed happenings around us for example, 5 mm thinnest OLED TV and flat panel of OLED light. At this juncture, when lots of new exciting organic based devices are ready or on development stage and are poised to change our life as never before, the Asian Journal of Physics will be celebrating Silver Jubilee in year 2016. Therefore, we are commemorating this auspicious occasion by a special silver jubilee Issue Vol 25, No 6, July 2016 devoteded to all aspects of theoretical and experimental understanding of various organic electronics and photovoltaic which include but not limited to solar cells, field effect transistors, sensors and other related applications based on conducting polymers/ molecules. We invite contributions in the form of original articles and as well reviews for the proposed silver jubilee issue. 2. Original research articles on theoretical and experimental studies on bulk hetero junction solar cells, field effect transistors, sensors using conducting polymers as well as their composites. 3. Original articles on synthesis and characterization of conducting polymers and their composites for possible use in solar cells, field effect transistors, sensors. Please contact the Guest Editors via e mail at: vibhas@barc.gov.in / spkoiry@barc.gov.in by October 15, 2015 stating that you are interested in contributing to the AJP special issue and submitting the abstract of your paper. Manuscripts should be sent to vibhas@barc.gov.in / spkoiry@barc.gov.in in MS Word format following the Instructions for Authors, published at http://asianjournalofphysics.in/instructions. Submitted manuscripts should not have been published previously, nor be under consideration for publication elsewhere (except conference proceedings papers). All manuscripts are reviewed and refereed through a peer-review process. Since Gabor’s discovery of the hologram approximately 75 years ago and subsequent pioneering work by Leith,Upatneiks, and Denisyuk 25 years later following the invention of the laser, holography has developed tremendously both as a means of 3D display as well as for various metrological and image processing applications. Recording of holograms has benefited immensely from the discovery of the digital camera and 3D reconstruction has been greatly simplified through the use of numerical techniques which simulate optical propagation through the hologram. At the same time computer generated holograms have gained prominence as a way to simulate holograms which can be reconstructed optically to display 3D images. Furthermore, the discovery of photorefractive materials and other novel holographic storage media has opened the door to dynamic holography and holographic interferometry. To celebrate 25 years of the Asian Journal of Physics, I am happy and humbled to be given the opportunity to dedicate a special issue to the topic of digital holography and its applications. There have been many excellent books written on this topic, and many invited and contributed papers in the literature, as well as a dedicated topical meeting in the area that has been hugely successful over the last 10 years. Basic principles, numerical methods, phase unwrapping, compressive sensing, etc. Dr. Partha Banerjee is Professor of Electrical and Computer Engineering (ECE) and Electro-Optics (EO) at the University of Dayton (UD) since 2000, where he is currently Director of Electro-Optics. He served as Chair of ECE at UD from 2000-2005. Prior to UD, he was with the University of Alabama in Huntsville from 1991-2000, and with Syracuse University from 1984-1991. 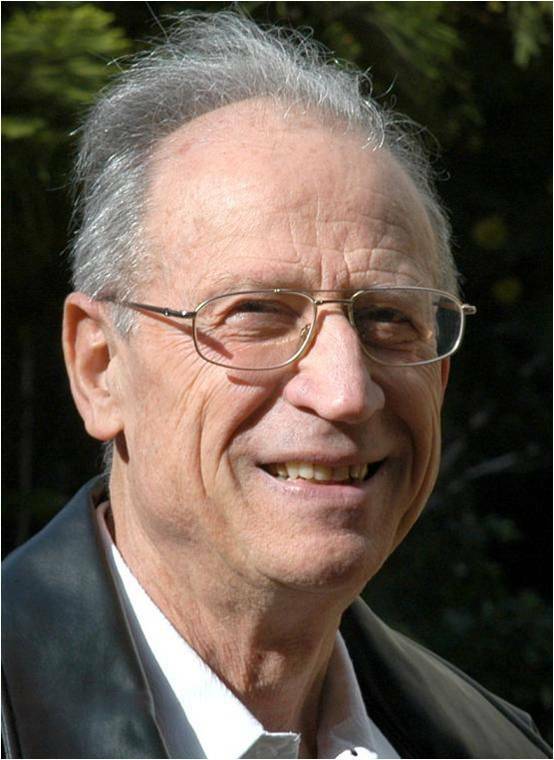 His research interests include acousto-optics, photorefractives, nonlinear optics, holography, and metamaterials. 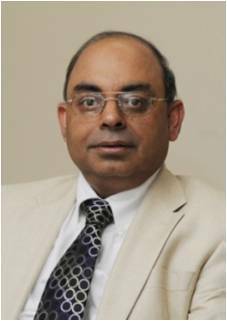 He is Fellow of OSA, SPIE and the Institute of Physics (FInstP), and is senior member of IEEE. He received the NSF Young Investigator Award in 1987. At UD, Dr. Banerjee has established the Holography and Metamaterials (HaM) lab where he leads a research group comprising a Research Professor, a post-doctoral fellow, 3 PhD students and 2 MS students. He has organized the Optical Society of America (OSA) international meeting on Digital Holography in 2010, and is Topical Editor for Applied Optics. His work on digital holography with DMS Tech., Huntsville has been funded by the Air Force and Army, and was one of the 11 out of over 500 that received the Army SBIR Achievement award in 2011. He also extensively collaborates with the Laser and Optical Communication Institute (LOCI), which works on LADAR or laser radars. Furthermore, the first negative index metamaterial (NIM) working in blue light using binary co-sputtered nanoparticles, funded by DARPA, has been designed, developed and tested at his HaM lab, in collaboration with Physics, UD Research Institute, and DMS Tech. Dr. Banerjee also works closely with the Materials Directorate at the Air Force Research Labs, WPAFB in the area of inorganic and organic photorefractive materials. Over the last 10 years, he has been awarded grants and contracts over $2.5M. To date, Dr. Banerjee has published 5 textbooks, over 120 refereed journal papers, and over 150 conference papers/ presentations, and holds 1 patent. He has supervised over 20 PhD dissertations and 10 MS theses. international conferences and symposiums and served as Feature Issue Editors of Applied Optics of OSA, Optical Engineering of Taiwan Photonics Society (TPS), and Taiwan Information storage Association (TISA). 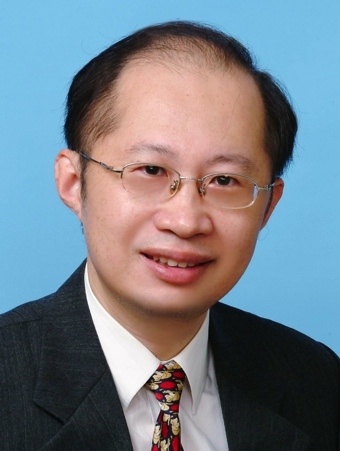 Prof. Cheng has published over 90 referred papers of scientific and technical research in proceedings of international conferences and Refereed journals. 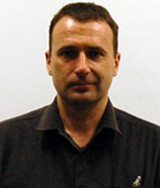 His research interests include information optics, optical metrology, digital holography, computer-generated holography, 3-D imaging and display. Asian Journal of Physics invites contributions in the form of review articles and research papers in solar astronomy covering all aspects of observations (both from ground and space), data reduction techniques and tools, and science results. Last two decades have seen significant progress in Solar Physics research, mainly supported by advanced observational techniques, analysis methods and modeling efforts. Uninterrupted and simultaneous observations at high spatial- and temporal-resolutions at several wavelengths have added new dimensions to the studies of variable nature of the Sun and the changes occurring from solar interior to the outer solar atmosphere. The Special Issue will focus on recent developments in observations and their reduction methods, various aspects of solar activity including statistical studies and individual events, interpretations, models and simulations. Manuscript should be sent to solarphysics21century@gmail.com . Last date of submission is November 30, 2105. All submitted manuscript will be gone through the peer-review process. The general format for submission of papers in MS Word can be found on the journal web site at http://asianjournalofphysics.in/instructions. If you prefer to use latex/tex, please contact Guest Editors for further information. There is no limit on the number of pages and the page charges are also are waived off, however, authors of the review papers are encouraged to contact Guest Editors in advance by submitting an abstract of the paper not later than September 30, 2015. Guest Editors will notify authors if the topic is appropriate for special issue. Drs. Kiran Jain and Sushant Tripathy are the Guest Editors for this special issue. Please contact them at solarphysics21century@gmail.com for any query related to this issue. Asian Journal of Physics is a Publication non for Profit serving the academic and research community. For more information, visit the official website of the journal: http://asianjournalofphysics.in . irradiance modeling, space weather and Sun-Earth connection. Dr. Jain has around 120 publications to her credit, and also edited a book on. Fifty Years of Seismology of the Sun and Stars. She is the joint recipient of NASA's Group Achievement Award to SDO Science Investigation Teams in 2012. 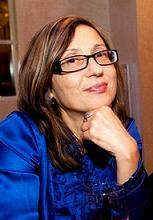 She is the member of several national and international professional societies. 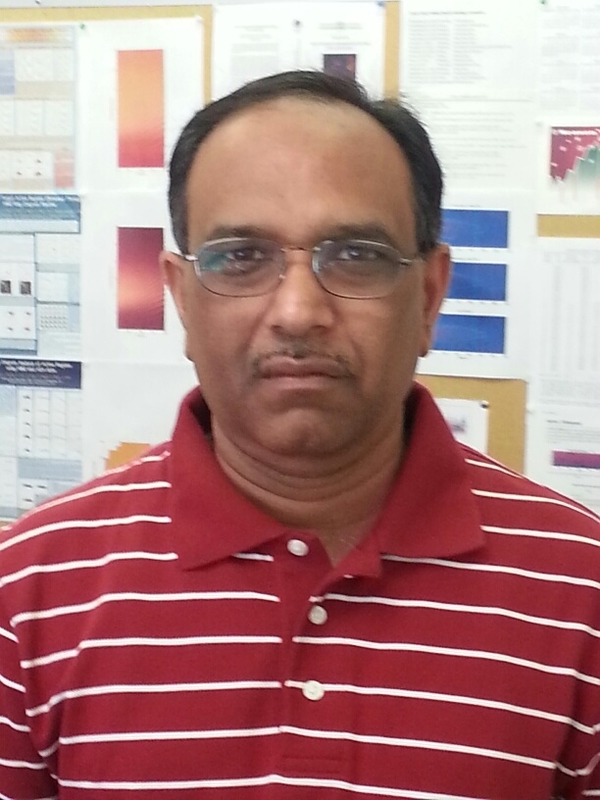 Sushanta C Tripathy currently works as a scientist at National Solar Observatory, Tucson, USA. Dr. Tripathy received his Ph.D. in Physics from Physical Research Laboratory, Ahamedabad in 1993. 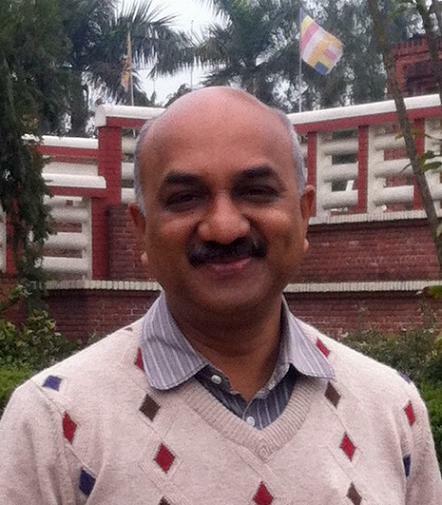 In 1995, he joined Udaipur Solar Observatory as a scientist where he worked in the field of Helioseismology. In 2004, Dr. Tripathy moved to National Solar Observatory. His research interest includes the study of interior of the Sun and stars, solar activity, solar flares, coronal mass ejections and numerical simulations. 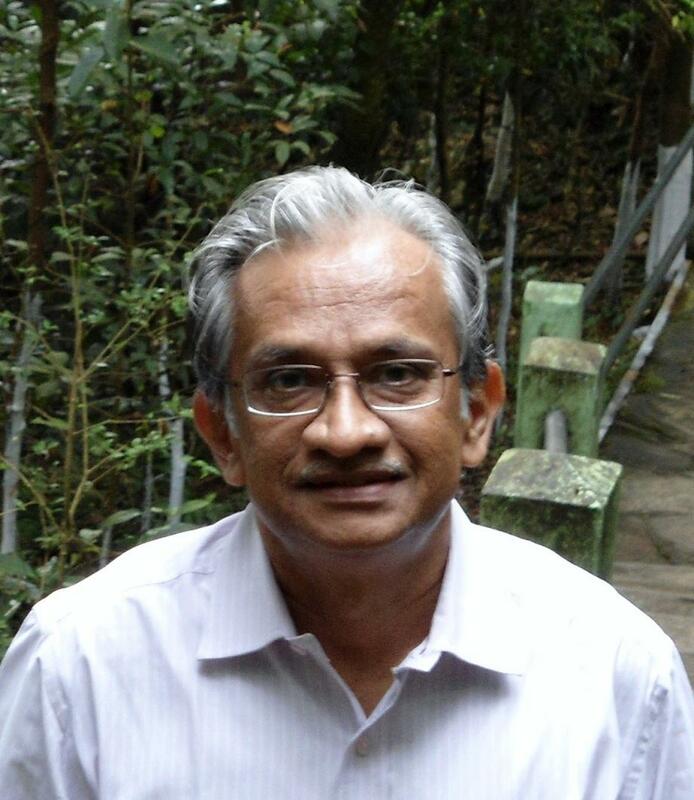 Dr. Tripathy has edited two books and has more than 100 publications to his credit. He is the joint recipient of NASA's Group Achievement Award to SDO Science Investigation Team in 2012. He is also a member of several national and International professional societies including a member of International Astronomial Union (IAU). 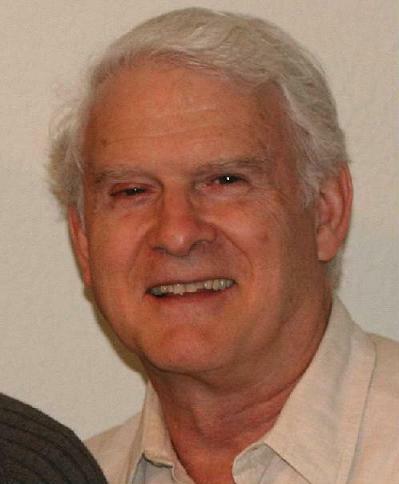 WILLIAM T. RHODES, PH.D., is Professor Emeritus of Georgia Institute of Technology and Professor of Computer & Electrical Engineering and Computer Science at Florida Atlantic University. In 1976 he was a Humboldt Research Fellow at the University of Erlangen-Nürnberg in Germany. His research interests include optical image formation, diffraction theory, and secure communication. He is coauthor of the textbook Introduction to Lasers and Their Applications and is currently working to complete a text on the Principles of Fourier Optics. He is Editor-in-Chief for the Springer-Verlag Optical Sciences series of monographs and Editor for the Springer Graduate Texts in Physics series. Between 1987 and 1993 he served as Editor/Editor-in-Chief of Applied Optics and between 2010 and 2011 as the Founding editor of SPIE Reviews. He is a Fellow of the OSA and the SPIE, and has served on the boards of both societies. John T. Sheridan received his Bachelors degree (H1) in Electronic Engineering, from University College Galway (NUIG) in 1985 and his Masters degree in the Science of Electrical Engineering, from Georgia Tech, in 1986. While at GT he worked as a Research Assistant of Prof. William T. Rhodes. In 1987 he matriculated as a member of Jesus College Oxford and in 1991 he was awarded his doctorate by Oxford University for work carried out under the supervision of Prof. Laszlo Solymar and Prof. Colin J. R. Sheppard. This was followed by postdoctoral fellowships, supported first (1991) by the Alexander von Humboldt Foundation and later (1992) by a European Community Bursary. Both were held at the Lehrstuhl fur Angewandte Optik in Erlangen-Nürnberg University, under the leadership of Prof. Dr A. W. Lohmann. In 1994 he took up a position as a visiting scientist at the European Commission Joint Research Centre, in Italy. In 1997 he was appointed to the School of Physics, Dublin Institute of Technology as a permanent lecturer. imaging systems, signal processing, including Fourier transform, fractional Fourier transform, Linear Canonical transform, Wigner distribution function, sampling and signal representation, propagation of light in turbid media such as biological tissue as well as modeling and simulation of broad-band optical sources. He has a H-index of 15 and has published over 90 scientific articles including 30 journal papers. He is a member of both SPIE and OSA, an active reviewer for several optics journals and currently an editor with the journal Optik. Hobbies include music, history, and economics. Guohai Situ is a senior researcher with the Shanghai Institute of Optics and Fine Mechanics, Chinese Academy of Sciences, holding a “1000 plan professorship for young experts”. Before he joined this institute in late 2012, he spent about 6 years working in University College Dublin in Ireland, Universität Stuttgart in Germany, and Princeton University in the United States, after he obtained his Ph. D degree from the Chinese Academy of Sciences in 2006. Dr.Situ's research interests span a wide field of "phase engineering", ranging from developing novel techniques and algorithms for "passive" phase reconstruction, to "actively" engineering the phase for (computational) optical imaging and optical signal processing. He has published 27 papers in leading journals including Nature Photonics. His papers have been cited over 1300 times according to Google Scholar. Dr. Situ is a reviewer for major optics journals and a topical editor of the OSA’s journal of Applied Optics. Jürgen Popp studied chemistry at the universities of Erlangen and Wuerzburg. After his PhD in Chemistry, he joined Yale University for postdoctoral work. He subsequently returned to Wuerzburg University where he finished his habilitation in 2002. Since 2002, he holds a chair for Physical Chemistry at the Friedrich-Schiller University Jena. 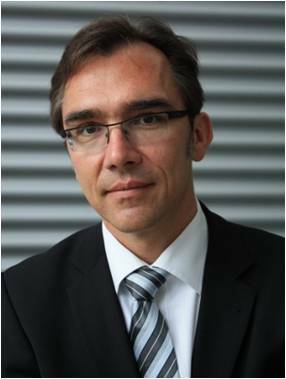 Furthermore, he is the Scientific Director of the Leibniz Institute of Photonic Technology, Jena, since 2006. His research interests are mainly concerned with biophotonics. In particular, the development and application of innovative Raman techniques for biomedical diagnostics as well as environmental and food analysis is at the heart of his interests. He has published more than 450 journal papers and is fellow of SAS and SPIE. 2012 he received a honorary doctor’s degree at Babes-Bolyai University Cluj-Napoca, Romania and in 2013 the Robert-Kellner Lecture Award. The issue would publish new results as well as state of the art reviews in the areas of: Interferometry, holography and speckles, adaptive optics, fibre optics sensing, plasmonic sensing , photo acoustic sensing and related topics. Rajpal. S. Sirohi, Ph. D. is currently the Chair Professor, Physics Department, Tezpur University, Tezpur (Assam). During 2000-2009, he had been deeply engaged in academic administration and research as Director IIT Delhi (Dec. 2000- April 2005), Vice-Chancellor Barkatullah University, Bhopal (April 2005-Sept. 2007), Vice-Chancellor of Shobhit University, Meerut (Oct. 2007-March 2008) and Vice-Chancellor of Amity University Rajasthan, Jaipur (March 2008-Oct.2009). He also served at the Indian Institute of Science, Bangalore and in various capacities at the Indian Institute of Technology Madras, Chennai, India. Prof. Sirohi worked in Germany as a Humboldt Fellow and an Awardee. 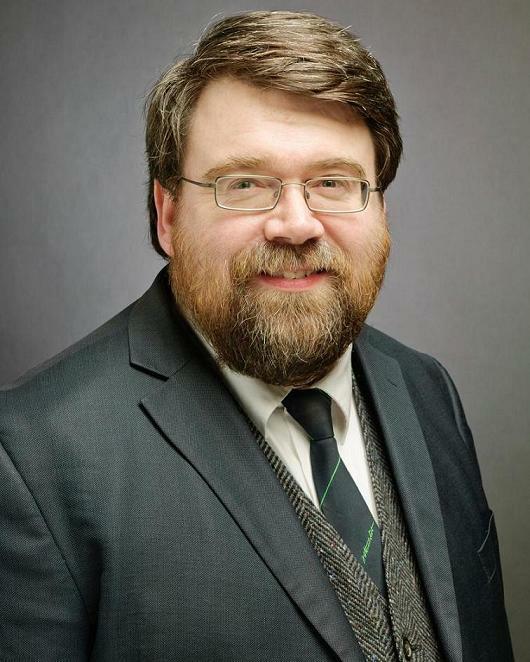 He was a Senior Research Associate at Case Western Reserve University, Cleveland, Ohio, and Associate Professor, and Distinguished Scholar at Rose Hulman Institute of Technology, Terre Haute, Indiana. He was ICTP (International Center for Theoretical Physics, Trieste Italy) Consultant to Institute for Advanced Studies, University of Malaya, Malaysia and ICTP Visiting Scientist to the University of Namibia. He was Visiting Professor at the National University of Singapore and EPFL, Lausanne, Switzerland. 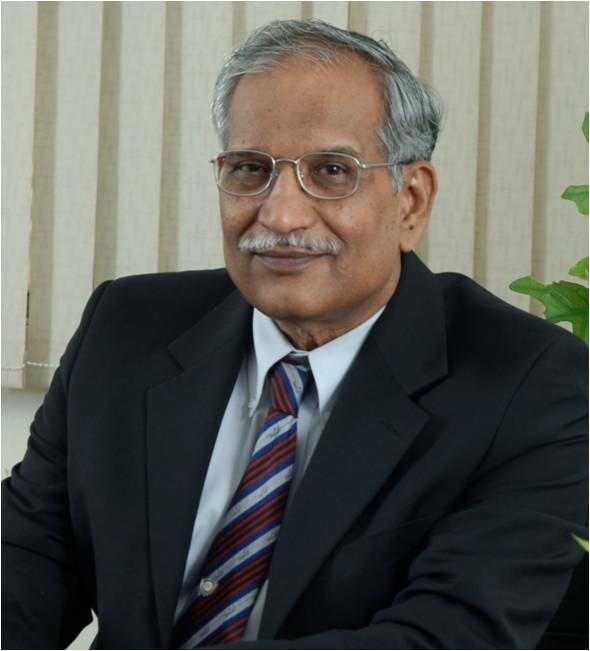 Prof. Sirohi is Fellow of several important academies/ societies in India and abroad including the Indian National Academy of Engineering; National Academy of Sciences, Optical Society of America; Optical Society of India; SPIE (The International Society for Optical Engineering), Instrument Society of India and honorary fellow of ISTE and Metrology Society of India. He is member of several other scientific societies, and founding member of India Laser Association. Prof. Sirohi was also the Chair for SPIE-INDIA Chapter, which he established with co-operation from SPIE in 1995 at IIT Madras. He was invited as JSPS (Japan Society for the Promotion of Science) Fellow and JITA Fellow to Japan. He was a member of the Education Committee of SPIE. Humboldt Research Award (1995) by the Alexander von Humboldt Foundation, Germany; Galileo Galilei Award of International Commission for Optics (1995); Amita De Memorial Award of the Optical Society of India (1998); 13th Khwarizmi International Award, IROST (Iranian Research Organisation for Science and Technology (2000); Albert Einstein Silver Medal, UNESCO (2000); Dr. YT Thathachari Prestigious Award for Science by Thathachari Foundation, Mysore (2001); Pt. Jawaharlal Nehru Award in Engineering & Technology for 2000, (awarded in 2002) by MP Council of Science and Technology; NRDC Technology Invention Award on May 11, 2003; Sir CV Raman Award: Physical Sciences for 2002 by UGC (University Grants Commission); Padma Shri, a national Civilian Award (2004); Sir CV Raman Birth Centenary Award (2005) by Indian Science Congress Association, Kolkata; Holo-Knight (2005), inducted into Order of Holo-Knights during the International Conference-Fringe 05-held at Stuttgart, Germany; Centenarian Seva Ratna Award (2004) by The Centenarian Trust, Chennai; Instrument Society of India Award (2007); Gabor Award (2009) by SPIE (The International Society for Optical Engineering) USA; UGC National Hari OM Ashram Trust Award - Homi J. Bhabha Award for Applied Sciences (2005) by UGC; Distinguished Alumni Award (2013) by Indian Institute of Technology Delhi; Vikram Award 2014 by SPIE (The International Society for Optical Engineering) USA. Prof. Sirohi was the President of the Optical Society of India during 1994-1996. He was also the President of Instrument Society of India for three terms (2003-06, 2008-12). He was on the International Advisory Board of the Journal of Modern Optics, UK and on the editorial Boards of the Journal of Optics (India), Optik, Indian Journal of Pure and Applied Physics. He was Guest Editor to the Journals "Optics and Lasers in Engineering" and "Optical Engineering". He was Associate Editor of the International Journal “Optical Engineering”, USA during (1999-Aug.2013), and currently is its Senior Editor. 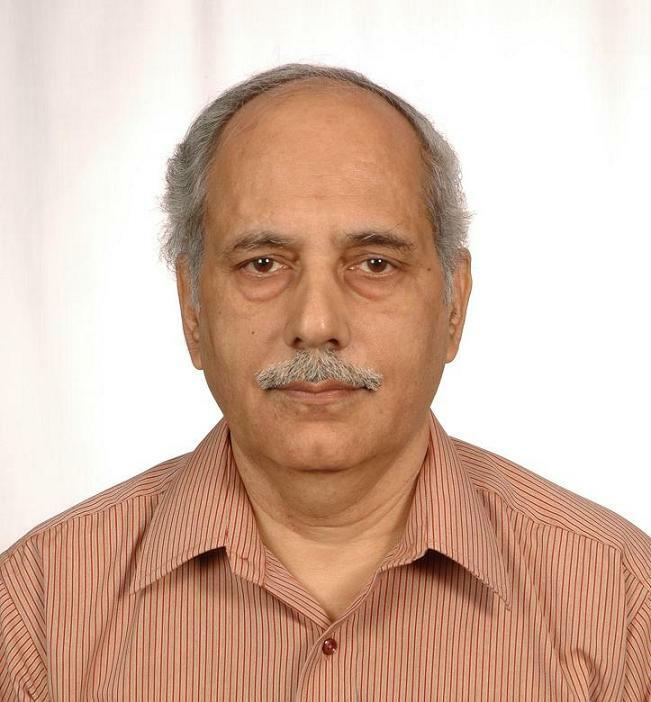 Prof. Sirohi has 456 papers to his credit with 244 published in national and international journals, 67 papers in Proceedings of the conferences and 145 presented in conferences.He has authored/co-authored/edited thirteen books including five milestones for SPIE. He was Principal Coordinator for 26 projects sponsored by Government Funding Agencies and Industries, has supervised 25 Ph.D. theses, 7 M.S. theses and numerous B.Tech., M.Sc. and M.Tech. theses. 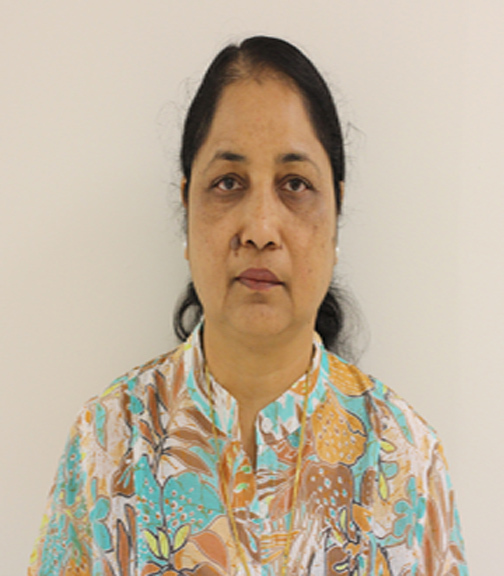 Prof. Sirohi's research areas are Optical Metrology, Optical Instrumentation, Laser Instrumentation, Holography and Speckle Phenomenon. M P Kothiyal till recently was a professor in the department of physics at IIT Madras. 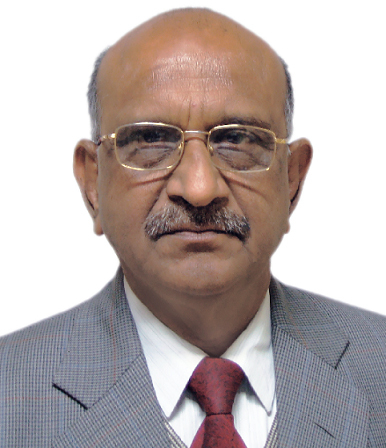 He received his M Tech degree in Applied Optics from IIT Delhi in 1968 and PhD degree from IIT Madras in 1977. In the period from 1970 to 2014 he held various faculty positions at IIT Madras. 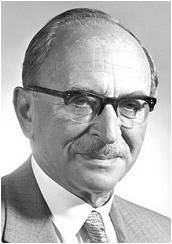 His research interests include Optical Instrumentation and Testing, Optical Metrology, Interferometry, and Holography and Speckle techniques. 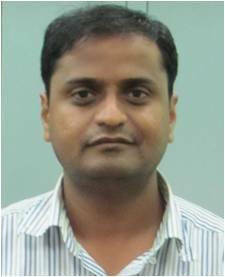 During his research career M P Kothiyal has published over 115 papers in peer reviewed journals and over 100 papers in conference proceedings. He has also coauthored a book. As a DAAD Fellow he carried out research in Germany for about 3 years on different occasions at Institute of Optics, Stuttgart University. 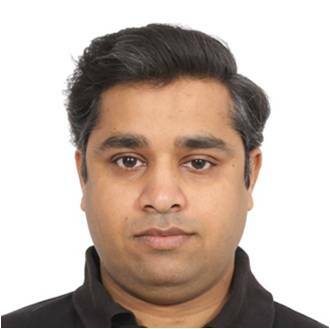 He was also a Research Associate at the Centre for Optics and Photonics, Laval University, Canada for two years.M P Kothiyal is a fellow of SPIE-The international society for optical engineering and the Optical Society of America(OSA). He is a joint recipient of NRDC meritorious invention award (2003), and is on the editorial board of Journal of Optics. Japan. His research interests include scientific and industrial applications of holographic interferometry, laser speckles, digital holography, fiber optic sensors, optical coherence tomography and laser based instrumentation. He has published 88 research papers in international reviewed journals and 49 papers in the proceedings of international conferences. He holds four patents. He is a fellow of the Indian National Academy of Engineering and SPIE. He received Institute Outstanding Faculty Award for 1994-1995, for significant research and development work in holographic techniques and laser based systems and NRDC Independence Day Award 1993 for development of laser based alignment system for electrical power machinery. In 2014, he received Galileo Galilei Award from International Commission of Optics, for outstanding contribution to the field of holographic and speckle metrology. Nandigana Krishna Mohan received his M.Sc(Tech) degree in applied physics from Andhra University, Waltair, and his MS (Engg) and Ph.D degree in mechanical engineering from Indian Institute of Technology, Madras. Recently he retired as Senior Scientific Officer Gr.1 at IIT Madras. He also worked as a visiting scientist at Universität Oldenburg, Oldenburg, Germany in 1991 under INSA-DFG fellowship program, visiting scientist at Luleå University of Technology, Luleå, Sweden in 1993, 1995 and 1999, as associate research officer at National Research Council, Ottawa, Canada in 1997 and Research Associate at Philip Morris USA Richmond VA, USA in 2002. His research areas include holographic/speckle and speckle shear interferometry, TV holography and shearography, digital speckle photography, holographic optical elements, stereovision systems and optical metrology using photo-refractive materials. He is also program committee member for various conferences and also executive committee member of Optical Society of India. He had published and presented around 175 papers and wrote three book chapters in these research areas. He is listed in Marquis Who's who in the World, Who’s who in America, Who’s who in Asia and Who’s in Science and Technology. 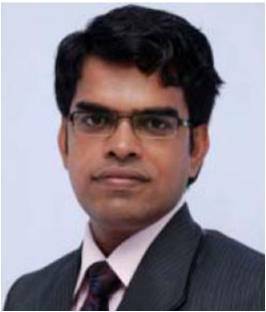 He served as a Chair of SPIE India chapter from 2004-2006 and faculty adviser for IIT Madras SPIE student chapter. He is a Fellow member of Optical Society of India (OSI) and SPIE. Victor V. Kotlyar is a head of Laboratory at the Image Processing Systems Institute (Samara) of the Russian Academy of Sciences and professor of Computer Science Department at Samara State Aerospace University. 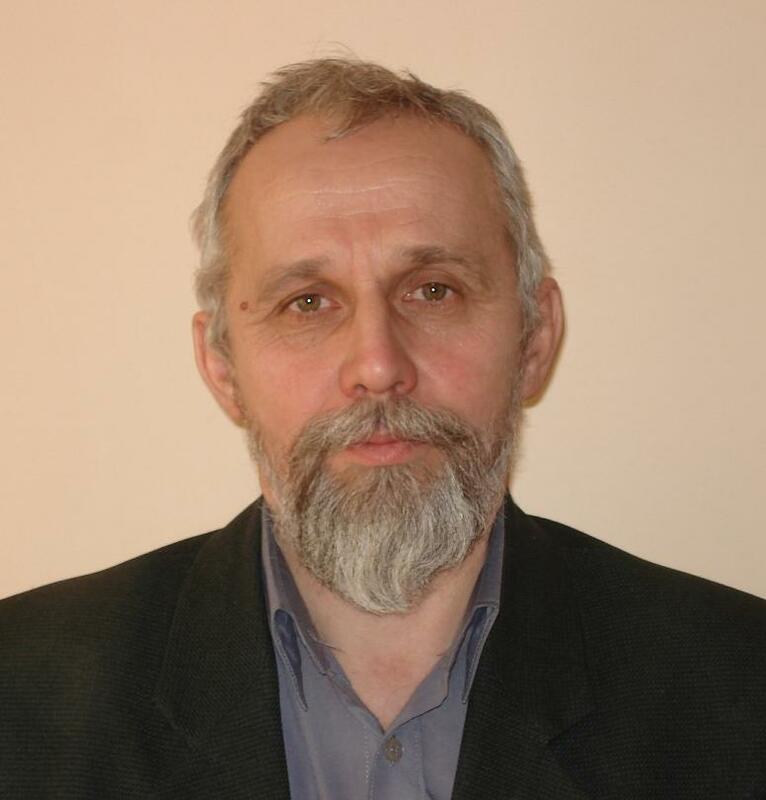 He received his MS, PhD and DrSc degrees in physics and mathematics from Samara State University (1979), Saratov State University (1988) and Moscow Central Design Institute of Unique Instrumentation, the Russian Academy of Sciences (1992). He is co-author of 350 scientific papers, 10 books and 13 inventions. His current interests are diffractive optics and nanophotonics. Interstellar medium (ISM) is, as the very name implies, the space between the stars in a Galaxy. On the macroscopic level the ISM consists of giant molecular clouds and diffuse, gaseous nebulae. On the microscopic level the constituents of interstellar matter consist of ionized and neutral atoms, molecules and solid state particles or dust grains. Star formation occurs in the ISM when giant molecular clouds collapse under self-gravity; while the subsequent stellar evolution leads to mass loss and ejection of enriched matter back to the ISM. New stars are formed again from the enriched ISM. This cyclical process of star formation and evolution contributes to the enrichment and chemical evolution of the Galaxy. ISM is therefore one of the most important aspects of Astronomy and Astrophysics and the significance of its investigation can hardly be over-emphasized. The physical conditions of the space between the stars vary from very cold dense environment (such as molecular clouds) to hot tenuous plasma (such as the supernova remnants that represent the ejected matter of massive stars and inner regions of planetary nebulae that represent the ejected matter of Sun-like stars). The gaseous and dusty matter in the ISM cause extinction (absorption and scattering) of the star light at different wavelength regions depending upon the physical conditions of the absorbing and/or scattering matter. While gaseous matter accounts for extinction in the shorter wavelengths, dust particles are responsible for that in the longer wavelengths. It is essential therefore to know exactly what type of dust grains cause extinction and how the extinction as a function of wavelength varies in different lines of sight. A variety of molecules and solid state particles or dust grains have been discovered in the ISM thanks to a number of excellent ground-based and space-borne spectro-photometric observations. More complex molecules await detection. Especially of interest are the organic molecules that may have relevance to the life forming molecules. It is important to probe the conditions under which these constituents form and evolve. The special issue on “Constituents of Interstellar Matter” is being brought out as an attempt to provide a glimpse of the afore-mentioned phenomena highlighting the current excitement and future promise. The issue includes both theoretical and observational aspects of the ISM as well as laboratory experimental work being done to identify unknown features found in several astronomical objects and to synthesize already identified molecules in order to establish possible physical conditions of their formation. The volume is being brought out keeping in view of both the active researchers in the field as well as students of astrophysics. B.G. 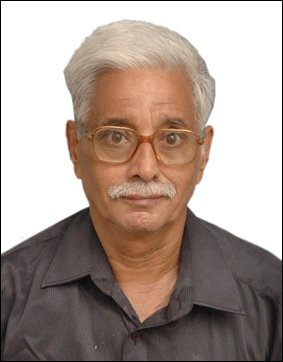 Anandarao is currently an Honorary Professor in the Astronomy and Astrophysics Division, Physical Research Laboratory since his superannuation as a Senior Professor. He obtained his Masters degree in Science in 1971 from the Andhra University, Visakhapatnam and PhD from Physical Research Laboratory for his thesis on “Dynamics of Equatorial Ionosphere”. He worked in his early post-doctoral research career at the Observatoire de Meudon, France in the field of Far-infrared Astronomy. Then in 1979 he joined the Infrared Astronomy Group at PRL as a faculty member. His interests are in the fields of star formation and stellar evolution, optical and infrared spectroscopic instrumentation as well as in the field of the earth’s upper atmosphere. He has about 120 publications to his credit. He had served during 2001-2005 as the Chairperson of the Astronomy & Astrophysics Division of PRL. He had been on the Editorial Board of the Journal of Astrophysics and Astronomy published by the Indian Academy of Sciences for two terms. He had also served as an Executive Member of the Astronomical Society of India (ASI). He is a member of the International Astronomical Union (IAU). articles and reviews exploring all aspects of holography in the invisible wavelength bands are solicited from academicians and researchers. The manuscript should be prepared in the prescribed format which can be found in the website of the journal, i.e., http://http://asianjournalofphysics.in/. The due date for submission of manuscript is April **, 2015. All submissions should be emailed to some@gmail.com by the stipulated due date. Francis T. S. Yu received his B.S.E.E. degree from Mapua Institute of Technology, Manila, Philippines, and his M.S. and Ph.D. degrees in Electrical Engineering from the University of Michigan. information theory, and optical computing. He has published over 300 refereed papers in these areas. He is a recipient of the 1983 Faculty Scholar Medal for Outstanding Achievement in Physical Sciences and Engineering, a recipient of the 1984 Outstanding Researcher in the College of Engineering, was named Evan Pugh Professor of Electrical Engineering in 1985 at Penn State, a recipient of the 1993 Premier Research Award from the Penn State Engineering Society, was named Honorary Professor in Nankai University in 1995, the co-recipient of the 1998 IEEE Donald G. Fink Prize Paper Award, named Honorary Professor in National Chiao Tung University Taiwan in 2004, and the recipient of the 2004 SPIE Dennis Gabor Award. 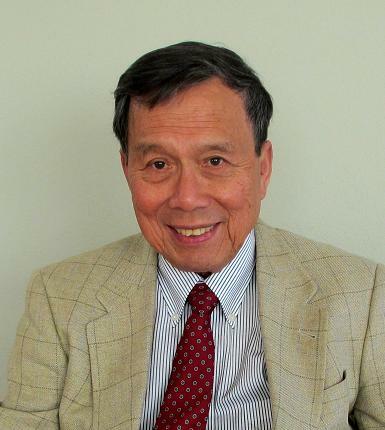 Dr. Yu retired from Penn State University in 2004. He is the author and co-author of ten books entitled: (1) Introduction to Diffraction, Information Processing and Holography (translated in Russian), (2) Optics and Information Theory, (3) Optical Information Processing (translated in Chinese), (4) White-Light Optical Signal Processing, (5) Principles of Optical Engineering (with I. C. Khoo) (translated in Chinese), (6) Optical Signal Processing, Computing, and Neural Networks (with S. Jutamulia) (translated in Chinese and Japanese), (7) Introduction to Optical Engineering (with X. Yang) (being translated Korean), (8) Entropy and Information Optics (translated in Chinese) (9) Introduction to Information Optics (with S. Jutamulia and S. Yin), (10) Coherent Photonics (in Russian) (with A. Larkin). MOCKBa Press, Russia, 2007. And he also has contributed several invited chapters in various monographs and books. 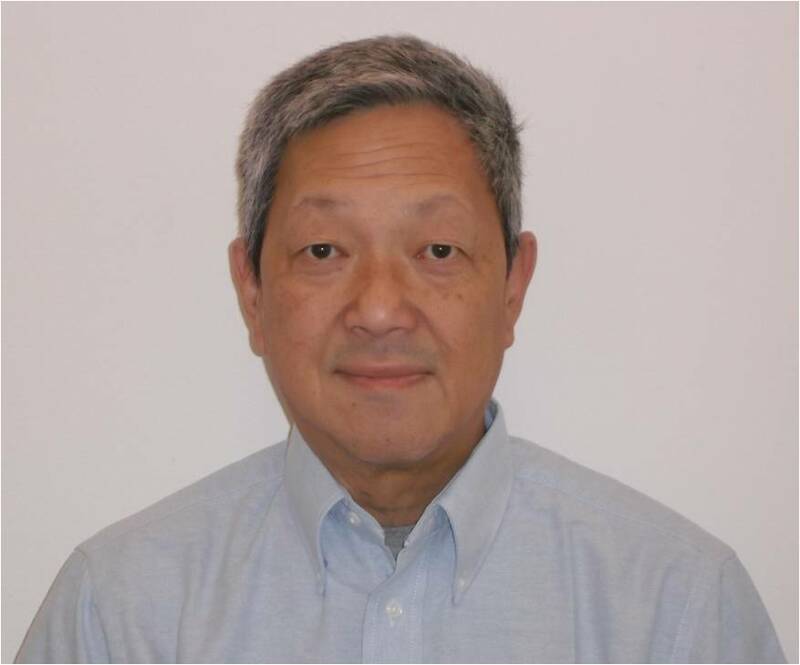 He has co-edited four books entitled: (1) Optical Storage and Retrieval (with S. Jutamulia), (2) Optical Pattern Recognition (with S. Jutamulia), (3) Photorefractive Optics (with S. Yin), and (4) Fiber Sensors (with S. Yin). 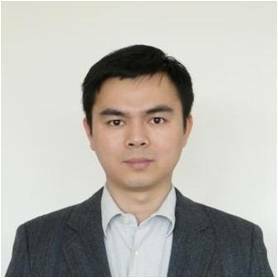 Recently, Dr Yu has joined Asian J Phys as Editorial Board Memebr and editing an special issue. Dr. Yu is a fellow of IEEE, OSA, SPIE, and PSC. Suganda Jutamulia was born in Indonesia. He received BS degree in physics (1977) from Institut Teknologi Bandung, MS degree in opto-electronics (1980) from Universitas Indonesia, and PhD degree in electronic engineering (1985) from the Hokkaido University, Japan. He was a post-doctorate fellow at the Pennsylvania State University, a principal investigator for small business innovation research at several companies, a manager at Kowa Company Ltd., a senior engineer at Blue Sky Research, and CTO at Newtonics Spectra Inc., prior to serving as an in-house patent agent previously at Oplink Communications Inc. and currently at OmniVision Technologies Inc. He teaches part time at San Jose State University. He is a Professor of Biomedical Engineering at University of Northern California. He has 12 patents, over 125 publications, and 8 books to his credit. He is a fellow of Optical Society of America and SPIE – the International Society for Optical Engineering. He serves in the Editorial Boards, Proceedings of the IEEE, Jan. 2000 – Dec. 2002, and IEEE ACCESS, 2013-2015.